What is it, how it works, which tank you should get, and how many shots each size will get you. 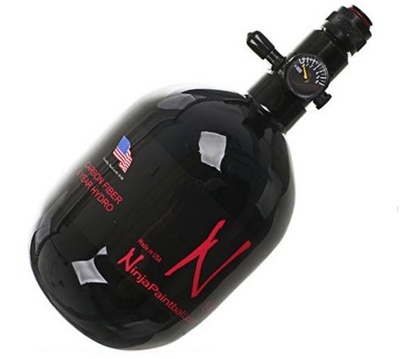 Compressed Air and N2 are both gasses that go in HPA paintball tanks. HPA stands for High Pressure Air. Nitrogen and Compressed Air are both high pressure gasses. These gases are cleaner, and expand much faster than co2, which as you may know can be pretty inconsistent and crappy in cold weather. You can get HPA tanks filled by a high output air compressor(which are powered by gas or electricity), or a full scuba tank. Normal $50 air compressors will not work, they only output at 125psi, and HPA paintball tanks operate at 3000-4500 psi. All HPA tanks come with a built in regulator that will feed 0-900psi to the gun. Some tanks however have regulators that are fixed to feed at 500psi, so if you were to use it on a Tippmann 98 which needs 650-800psi to operate correctly your Tippmann would not work. Likewise, using an HPA tank with a fixed output of 800psi could spell trouble if you have a low pressure paintball gun that operates at 250-450psi. HPA paintball tanks are made out of aluminum, steel or carbon fiber. Steel HPA tanks are hella heavy. Aluminum tanks may be cheaper, but Carbon fiber tanks have a higher pressure capability which means they will supply more usable air to your paintball gun. The best way to go is carbon fiber, its lightweight and durable. 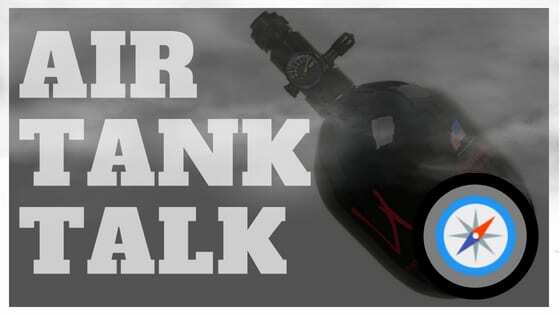 More on why you should buy a carbon fiber tank over anything else. What confuses many players is the two numbers in the name of an HPA tank. For instance, what does “50ci 4500psi HPA Tank” mean? CI represents Cubic Inch, which represents the volume of the tank. The larger the number the more shots you can expect from the tank. PSI stands for Pounds Square Inch, which is the pressure the tank can be filled to. Don’t see your tank up above? Use this formula to figure up how many shots your tank can supply (1000/# of cubic inches)x4. One of the best HPA tank manufacturers is Ninja Paintball. For the last couple years they have been proving that quality service combined with a quality product is enough to produce a sustainable competitive advantage against larger paintball companies. They make great tanks that perform flawlessly, are affordable, and can easily be switched from low pressure output to high pressure output.